The California Uniformed Controlled Substances Act lists marijuana as a Schedule 1 hallucinogenic substance. However, the state also passed Proposition 64 (The Adult Use of Marijuana Act), which currently legalizes marijuana for personal use. California also has a medical marijuana program and has legalized the use of hemp, a form of Cannabis sativa L, that contains less than 1% THC. Adults that are 21 and over and not already participating in California’s medical cannabis program can grow up to six marijuana plants, and possess up to one ounce of dried flower, (or eight grams of concentrate). Those who grow their marijuana may keep all of the harvest obtained from their plants. California additionally licensed the commercial production and sales of cannabis. Although possession of marijuana is legal, certain situations are considered misdemeanor offenses. Possession of more than 28.5 grams results in up to 6 months in jail and /or a fine of up to $500. Possession of 28.5 or less by someone 18 or older on school grounds results in up to 10 days in jail and/or a fine of up to $500. Possession by someone younger than 18 years old results in a fine of up to $250 the first time, and up to $500 after that. They may also be committed to a detention center for no more than 10 days. To legally sell marijuana, adults must be licensed by the state of California. Otherwise, possession of more than one ounce of marijuana or eight grams of concentrate is a misdemeanor offense. If found guilty of ‘possession with intent to distribute,’ there is a $500 fine along with six months in jail. If money is exchanged for marijuana by someone who is not licensed, it is a misdemeanor offense. The fine is $500 and may result in up to six months in jail. Up to one ounce of marijuana may be gifted without breaking the law. When minors are involved with any marijuana transaction, the repercussion are far greater. Delivering or attempting to deliver any amount of marijuana by anyone 18 years or older is a felony, punished by up to seven years in prison. Delivery to someone 14 -17 years old is 3-5 years in prison. Delivery to someone under 14 is 3-7 years in prison. Selling to someone under the age of 18 is 3-7 years in prison. Using someone under the age of 18 to sell marijuana, or asking for their help is 3-7 years in prison. Proposition 64 lets adults 21 and older grow up to six plants and keep all of the harvest. Those involved in the state’s medical marijuana program have no limit on how much they grow, but, the medical program is expected to be updated early 2018. Adults may also possess up to eight grams of concentrated cannabis. However, there are strict laws around the production of these products. Concentrated cannabis produced by chemical extraction, including butane, is called “manufacture by means of chemical synthesis of a controlled substance.” For this, there is a maximum fine of $50,000 and either 3,5, or 7 years in prison. Concentrated cannabis produced by a process other than chemical syntheses, such as with presses or screens, is called “unauthorized processing of marijuana.” For this, courts may impose a 16 month, two-year or three-year prison term. 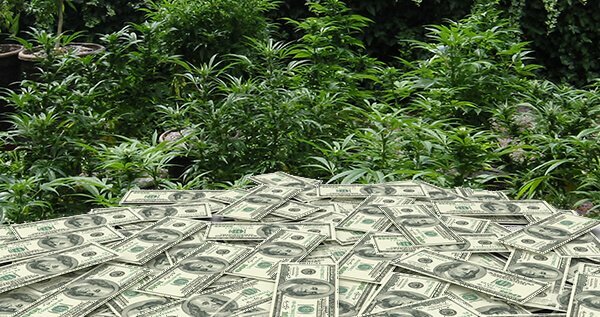 Click the next link if you want to know how to grow marijuana legally in California. In this article I’l explain exactly what you can and cannot do. Consuming marijuana often requires specialized equipment, legally referred to as paraphernalia. Possessing marijuana paraphernalia is legal. However, it is not legal to sell, deliver, manufacture, or intend to sell or deliver these items. If guilty of this misdemeanor, it means up to 180 days imprisonment and/or fine of up to $500. If the paraphernalia is delivered by someone who is at least 18 years old to someone that is at least three years younger, the misdemeanor is upgraded to a maximum year imprisonment and/or a fine of up to $1000. Marijuana use must be kept personal – anything related to marijuana should not be done while loitering in a public place. In addition to legalized personal use, California also decriminalizes many marijuana offenses. This means there may be no prison time or they may be left off of the criminal record if they are small or first-time offenses. In general, illegal marijuana use is treated similarly to a minor traffic violation. A deferred entry of judgment dismisses a case after certain requirements are met. Unlike diversion, if those requirements are not met, the defendant immediately faces the required jail time and/or fines. This is because they are required to plead guilty when participating in this program. When they complete the requirements, (after the designated time) the case is dismissed. There’s also the possibility of probation for many marijuana offenses. Probation will include participation in educational or treatment-based programs if the court believes it will benefit the offender. Probation is often not eligible for those who have previously been convicted of a felony offense that involved a controlled substance. To help pay for these programs, all violations of the California Uniform Controlled Substances Act include a fine of up to $150 in addition to any specific fines for the offense. The state of California may seize vehicles or property involved with controlled substance violations. If convicted of selling marijuana or illegally growing or manufacturing marijuana, that property becomes the property of the state. It is very difficult to recover property taken in forfeiture, but it is not impossible. When property seized by law enforcement will not be used as evidence, or the seizing agency fails to refer the case to the Attorney General for forfeiture proceedings within 15 days, it must be returned. If a forfeiture proceeding is pursued by the Attorney General, whoever owns the property has 30 days from publication of notice (or in some cases, actual notice) to respond. Once the response is received, the court can choose to return the property or take it to court where it will be decided by a jury. If convicted of a controlled substance offense that involves a motor vehicle, driving privileges will be suspended for up to 3 years. If the person convicted was aged 13-20, it is suspended for one year. If they are not yet licensed, the suspension begins from the point of receiving a license. Have you ever broken any marijuana laws in California? Please let me know in the comments below. Why would you need to be 21 and have a medical card to buy tobacco products? Worst law ever enacted. Marijuana is an entry level drug. Working on a hotline, I have heard this from so many teens with drug addictions. Is cleaning the buds for a grower illegal? Its pounds at a time.